Stratos can arrange private flights to all of them so you don’t miss a lap, pit stop or checkered flag. If you want to catch the season opener in Melbourne, there are a number of airports at your disposal. While Melbourne International (YMML) is the major air traffic hub for the city, but Melbourne Essendon (YMEN) is slightly closer. Melbourne Moorabbin (YMMB) is another option. Overview: Every year starting in late March or early April, teams and their drivers participate in roughly 20 Grand Prix across the world. Series points are awarded for placing at each event, with the higher the finish garnering more points. There are championships for both drivers and constructors. Do you get revved up over Formula One? 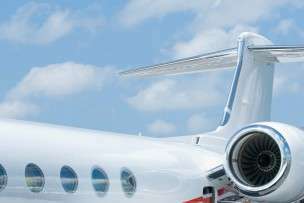 Stratos Jets specializes in chartering luxury jets so you can watch the action live anywhere in the world. Call our friendly customer service agents to learn more—(888) 593-9066 (toll free) or request a quote online.